Before starting please understand that article directories are just a way to get more traffic to your site, But if you plan all perfectly then these visitors can be convert in buyers. In this article you will help you To Make Money With Article Directories. Are you a website owner who has recently wrote or purchased articles? If so, what do you plan to do with those articles? If you are like many other site owners, you may opt to display the content on your website. This approach is nice, but you do have another option. That option is article directories. Unfortunately, many website owners, especially those just getting started, make the mistake of believing that article directories are nothing but a waste of time. Although you are not paid directly for each article you upload, they can help you generate income overtime. As for how, please continue reading on. Before focusing on how article directories can make you money, it is important to know what they are. Article directories are websites where internet users are able to upload and display their articles. At the end of each article, you should be able to post a link leading to the website of your choice. This website should be yours. It can either lead to a website where you are selling a product, service, or a content filled website that makes money through advertisements. What is nice about article directories is that they allow other internet users to use your articles. Yes, this may cause you concern, but this is actually how article directories work their magic. One of the best is http://www.articlebeach.com – Many have a clause stating that all links must be left intact. Since each of your articles should have a link to your website, your link can be distributed all across the internet, with minimal work on your part. Since article directories do allow others usage rights to your articles, you will want to put fresh articles on the directories. Do not have the exact same articles posted on your personal website, as the search engines may penalize you for having duplicate content. If you hire an article writer to write content for your website, ask them to write a few additional articles for the directories. On that same note, these articles are easy to write yourself. Try to ensure all articles are between 400 and 500 words. As for how article directories make you money, they work by generating traffic for your website. Whether you are selling a product, service, or making money through advertisements clicks and affiliate programs, traffic is a must. 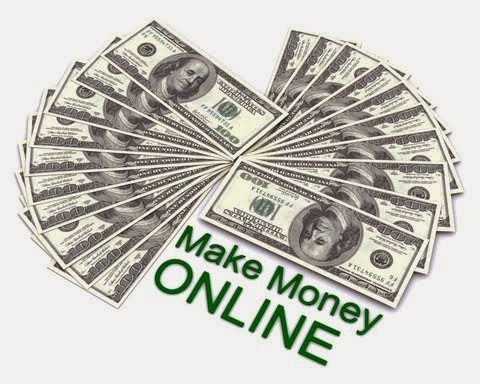 If no one visits your website, you will not make any money. Article directories can bring that much needed traffic to your website and possibly generate income for you. When preparing to write your articles or when hiring a professional writer, remember the word count. Most directories require articles with word counts of around 400 words. The smaller the word count, the less time you have to spend writing or less that you have to pay a writer. In keeping with getting your money’s worth, know that these articles can easily be rewritten to make new, fresh content. You can rewrite them yourself or pay another writer, as little as $1 a rewrite. This means that you get more uses out of each article and a better value for your money. By rewriting one article multiple times, you can essentially submit 10 different articles to 10 different article directories. methods of submission, it should take you no less than 5 minutes to add one article to the directory. If you outsourced these articles, ask your writer to submit the articles and links for you. Some writers will do so for free or for a small fee, like .50 cents or a $1 for each article upload. As a recap, article directories will not generate upfront payment for you, but they can help to create passive income. Passive income is nice, as it keeps on generating overtime. If you run a content filed website or a website that sells a product or a service, start relying on article directories to help you today. The first step is to either start writing yourself or hire a quality article writer.